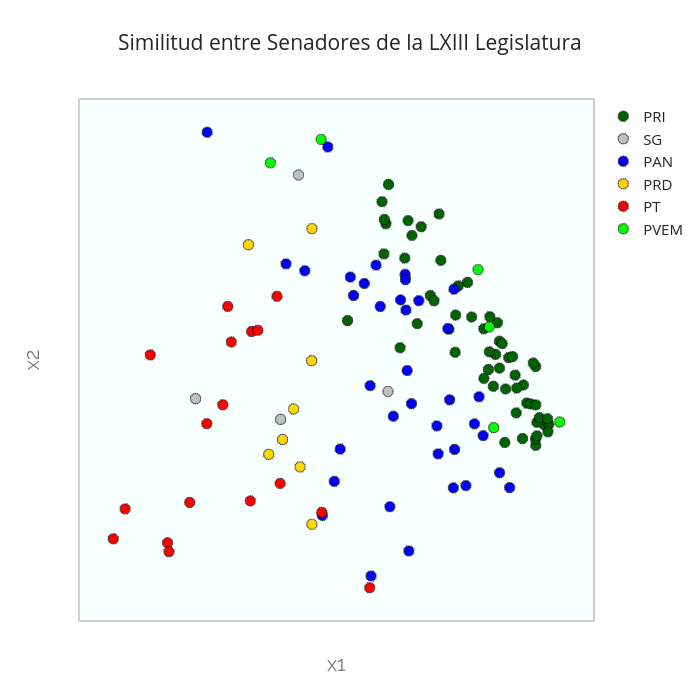 Lmf445's interactive graph and data of "Similitud entre Senadores de la LXIII Legislatura" is a scatter chart, showing PRI, SG, PAN, PRD, PT, PVEM; with x1 in the x-axis and x2 in the y-axis.. The x-axis shows values from 0 to 0. The y-axis shows values from 0 to 0.